A specific object, or event has to be the result of a Being with the ability to plan ahead and thinks with an end goal in mind. A specific object or event can’t be the result of unguided natural processes. A specific object or event can’t be the result of chance/coincidence. I was recently reading the book An Atheist Defends Religion: Why Humanity Is Better Off With Religion Than Without It, by author Bruce Sheiman. In this book, he gives a general outline from atheism as to how we came to the place of human life. Human Life = Laws of physics X chance + randomness+ accidents+ luck X 3.5 billion yrs. The laws of physics for our present universe arose by chance (from a multitude of possible universes); the first forms of life developed by chance (arising by primordial soup combinations that resulted from the laws of physics plus accidents); the first concept of life developed purely by chance (genetic mutations and environmental randomness); and humans evolved by more improbable occurrences. It is common for skeptics like Richard Dawkins to appeal to “chance” in the history of life scenarios. This is very problematic and here’s why: Generally speaking, two usages are commonly confused when speaking about chance: It can viewed as a mathematical probability or as a real cause. To view chance as having some sort of causal power is very problematic. Let me expand a little further on what I previously said. For more on this see the following book which is available as online pdf. Yes, the Birth of Christology Started Very Early! In light of this issue, one theory is that Jesus’ deity can be attributed to an apotheosis legend. In an apotheosis legend, a human becomes one among many gods. The New Testament seems to show the rejection of an apotheosis category for Jesus given that the early Jewish followers of Jesus refused worship (Acts 14:15) as did angels (Rev. 22:8–9). There are also references to the negative views of gentile polytheism (Acts 17: 22-23; 1 Cor 8:5). Gentiles were regarded as both sinful (Gal 2:5) and idolatrous (Rom 1:23). To read more about this, see Paul Eddy’s essay called, Was Early Christianity Corrupted by Hellenism? The earliest records we have for the Christology of Jesus are Paul’s letters. And 1 Cor. 15:3-8 and 1 Cor. 11:23 along with other, short Christian creeds include II Timothy 2:8, and Romans 1:3-4 show that the core teachings of the Gospel (Jesus died for our sins and rose again) pre-date Paul. Hence, the core of the Gospel was being circulated very early and even before Paul was a believer. First, there are hymns to Jesus ( Col 1:15-20; Phil.2:5-11) which are exalted things about him done in song. In 2 Corinthians 12:7-8, Paul says, “Therefore, in order to keep me from becoming conceited, I was given a thorn in my flesh, a messenger of Satan, to torment me. Three times I pleaded with the Lord to take it away from me. But he said to me, “My grace is sufficient for you, for my power is made perfect in weakness.” So here is Paul, a staunch Pharisee who was raised to call nobody ‘Lord’ expect the God of Israel. But despite this, he is asking Jesus the ‘Lord’ to help him. Furthermore, In Acts 7:59-60, Luke records the following about the prayer of Stephen, “Lord Jesus, receive my spirit.” Then he knelt down and cried out with a loud voice, “Lord, do not hold this sin against them.” When he had said this, he died. The word translated “prayed” in the NRSV (as well as the NIV) is a form of “epikaleo,” which literally means to “call on” someone. (9) And when this word is used in religious contexts of appealing to supernatural beings for divine help, “epikaleo” is a technical term for prayer. (10) Stephen is actually seen as entrusting the “Lord Jesus” with his very spirit. The immanent theologian Jaroslav Pelikan said the following about Stephen’s willingness to call upon Jesus as Lord: “For Stephen to commit his spirit to the Lord Jesus when the Lord Jesus himself had committed his spirit to the Father was either an act of blatant idolatry or his acknowledgment of the kurios Iesous [Lord Jesus] as the fitting recipient of the dying prayer of Stephen.(11). As I said, one thing that can be observed by the historian is cause and effect. In other words, a historian can observe the effect- the radical shift in the devotional practice of the early Christian community. While the Jesus devotion of the early Christian community is related to the disciples experiences with Jesus before the resurrection, there is no doubt that Hurtado’s comments about Jesus’ messianic work by being raised from the dead certainly lends credence to the fact that He was worthy of their worship and devotion. The Cause for Jesus Devotion? Paganism, Hellenism, Mystery Religions? Now I know the skeptic will try to find some naturalistic explanation to explain the “shift” in the devotional practice of these early Jewish believers. As I said, there are also references to the negative views of gentile polytheism (Acts 17: 22-23; 1 Cor 8:5). Gentiles were regarded as both sinful (Gal 2:5) and idolatrous (Rom 1:23). To try to say that during the Second Temple period that the early Jewish believers were syncretistic is problematic. I have discussed these issues elsewhere. I have also written elsewhere that it is doubtful a dead, crucified Messiah wouldn’t jump start the early Christology. So what has the best explanatory power for birth of Christology? The answer to this question can’t be determined apart from a person’s presuppositions. If one has decided to not rule out any explanation that isn’t naturalistic, then I concur with Hurtado that it is the resurrection itself and the post-resurrection appearances that provides the best hypothesis for the birth of Christology. 1. Paul Barnett, The Birth of Christianity: The First Twenty Years (Grand Rapids: Wm. B. Eerdmans Publishing Co. 2005), 8. 4. Larry Hurtado, One Lord, One God, Early Christian Devotion And Ancient Jewish Montheism (Philadelphia, PA. Fortress Press. 1988), 100-124. 7. James R. Edwards, Is Jesus the Only Savior? Grand Rapids, MI: Eerdmans Publishing Group, 2005. 8. Jean Danielou, The Theology of Jewish Christianity, trans. John A. Baker (London,: Darton, Longman&Todd; Philadephia,: Westminster Press, 1964), 149. 9. R. M. Bowman and J.E. Komoszewski, Putting Jesus Back In His Place: The Case For The Deity of Christ (Grand Rapids: Kregel Publications, 2007), 49. 12. Hurtado, One God, One Lord: Early Christian Devotion And Ancient Jewish Monotheism (Philadelphia: Fortress Press, 1988), 100-124. I. Epistemology: Is the branch of philosophy concerned with questions about knowledge and belief and related issues such as justification, truth, types of certainty. a. Justification: a belief is said to be justified when a person fulfills his or her duties in acquiring and maintaining a belief. A belief is said to be justified when it is based on a good reason/reasons or has the right grounds or foundation. b. Knowledge: Knowledge is a belief that is true and warranted or properly accounted for. In other words, knowledge excludes beliefs that are just true accidentally. Example: It is 12:30 pm and through an antique shop window I happen to look at a non-working clock, which happens to indicate 12:30. I would not be warranted in concluding that it’s 12:30 P.M. I may have belief that is true- the first components of knowledge—but I happened to get lucky. That does not qualify as knowledge; it’s not properly warranted (which completes the definition of knowledge). NOTE: This example was taken from Paul Copan’s True for you, but not for me: Deflating the Slogans that Leave Christians Speechless. Also: All possible knowledge depends on the validity of reasoning. Is mind the product of matter—more precisely, an accidental by-product of blind material forces of nature? From an evolutionary perspective, it doesn’t matter whether an organism has true beliefs, false beliefs, or no beliefs at all, as long as the organism can effectively preserve and pass on its genes. Evolution isn’t truth-directed. It’s only survival-directed. (James Anderson, Why Should I Believe Christianity? (The Big Ten) (Scotland: Christian Focus Publications, 2016), Kindle Locations 1178 of 2480). a.Testimony: We rightly accept what others tell us without having first established that they are worthy of trust. Without testimony, we could never be able to learn a language or accept something we learned before checking out for ourselves. b.We trust our senses on a daily basis/we trust our cognitive faculties. We rely on introspection, intuition, and perception on a daily basis. c. Memory: Memory is a pervasive, bedrock of our intellectual existence. a. Skepticism can be healthy and constructive. After all, we shouldn’t be gullible and naïve, believing everything we hear or read. b. Religious/Revelatory Claims are contradictory: We are required to provide reasons and evidence for what we believe. 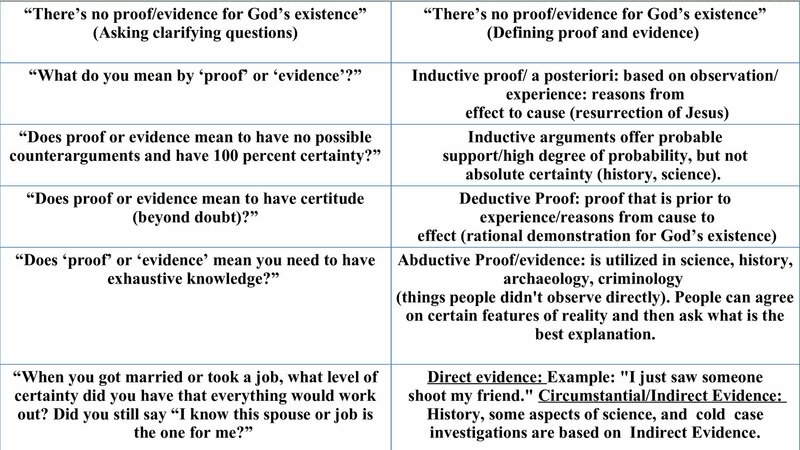 Weaknesses of Skepticism: (NOTE: Points a-e are adapted from How Do You Know You’re Not Wrong? A Response to Skepticism by PaulCopan). a. Skeptics are more skeptical about religious beliefs that anything else! b. Skeptics aren’t truly skeptical about two fundamental things they take for granted: (a) the inescapable logical laws that they’re constantly using to disprove the claims of those who say they have knowledge or (b) that their minds are properly functioning so that they can draw their skeptical conclusions! c. Being less than 100% certain doesn’t mean we can’t truly know. We can have highly plausible or probable knowledge, even if it’s not 100% certain. e. The hyper-skeptic is in a position that ends up eliminating any kind of personal responsibility or accountability. 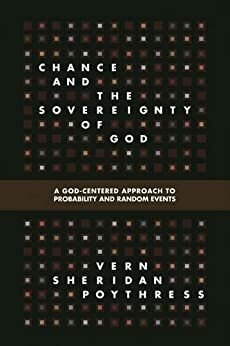 f. Skeptics need to be clear about what kind of approach they are taking to the existence of God (i.e., religious experience, induction, deduction, a historical approach, empirical approach, inference to the best explanation, etc). Deductive Arguments: In a deductive argument, the premises are intended to provide support for the conclusion that is so strong that, if the premises are true, it would be impossible for the conclusion to be false. (Premise 1)…….All the books on that shelf are science books. (Premise 2)…….This book is from that shelf. (Conclusion)……This book is therefore a science book. You might say, well what kind of deductive arguments are there for God’s existence. I would suggest reading Edward Feser’s Five Proof’s For The Existence of God. Yes, it is true that nobody needs to master these arguments to find God. But they are still important. Inductive Arguments: In an inductive argument, the premises are intended only to be so strong that, if they are true, then it is unlikely that the conclusion is false. (Premise 1)…….This book is from that shelf. (Premise 2)…….This book is a science book. (Conclusion)……All the books on that shelf are science books. In this argument, even if the premises are true, you could not conclude, with certainty, that all of the books on the shelf are science books just from the two pieces of information given in the premises. Now, when it comes to inductive proofs (as seen in the chart above), we can only arrive at probability levels. This happens in science as well. This may make people uncomfortable. But that’s the way it is. We don’t have direct evidence for the events in the Bible. But remember we don’t have direct evidence for many events that are in the past that lead to scientific conclusions. Almost all historical inquiries as well as cold case investigations are built on indirect or what is called “circumstantial evidence.” A large majority of science, history, and cold case investigations involve making inferences. Historians collect the data and draw conclusions that provide the best explanation that covers all the data in what is called “Inference to the most reasonable explanation” which never leads to absolute certainty or exhaustive knowledge. Mathematical propositions like 2+2=4 are absolutely certain by most people (except for a few philosophers maybe); such certainty is at times required for the resurrection question by skeptics. The process of finding the best explanation involves applying standards such as explanatory power and scope to the different theories on offer. Explanatory power is how well an explanation explains; explanatory scope is how much an explanation explains. While some skeptics will say they don’t absolute certainty for the resurrection of Jesus, many people choose to stay in a stubborn agnosticism simply because they claim they haven’t found the level of certainty that they need. Remember that many people make major commitments in life based on probable knowledge. When you get married or take a job or make other life commitments, you may have unanswered questions, gaps of knowledge, or levels on uncertainty. But you still make major commitments. You say “I know this is the right choice!” Why do some people have to have every question answered before making a commitment to God or Jesus? I think it is because it involves their autonomy. f. Pragmatic certainty: If something works or has beneficial consequences. This is challenging since someone could believe something works that does not correspond to reality. Remember, a Christian can claim to arrive at “spiritual or supernatural certainty” because of the work of the Holy Spirit. That is fine. But that is not a public claim. It is a private and internal experience. A Christian could claim that they have absolute certainty regarding the historical evidence for the resurrection. Bur this is incorrect. We can only make inductive and abductive claims about history. A Christian could also claim to have pragmatic certainty. But guess what? What kind of certainty do you have when Christianity doesn’t work? What is Certitude, Doubt, and Beyond A Reasonable Doubt? A judgment is subject to doubt if there is any possibility at all (1) of its being challenged in the light of additional or more acute observations or (2) of its being criticized on the basis of more cogent or more comprehensive reasoning. A courtroom analogy is helpful here: a jury is asked to bring in the verdict that they have no reason to doubt- no rational basis for doubting- in light of all the evidence offered and the arguments presented by the opposing counsel. Of course, it is always possible that new evidence may be forthcoming and, if that occurs, the case may be reopened and a new trial may result in a different verdict. The original verdict may have been beyond a reasonable doubt at the time it was made, but it is not indubitable-not beyond all doubt or beyond a shadow of a doubt–precisely because it can be challenged by new evidence or set aside by an appeal that called attention to procedural errors that may have invalidated the jury’s deliberations- the reasoning they did weighing and interpreting the evidence presented. NOTE: This was adpated from Mortimer Adler’s Six Great Ideas. How many of our beliefs are based on certitude? Not many! I hope these terms help in your discussions about God. Jewish people and even some skeptics like to assert that Christians are the ones who have come up with two act play about the coming of the Messiah. In other words, since Jesus failed at the messianic task, Christians then had no choice but to make up a second coming of Jesus. I already have a post called “Was Jesus a Failed Prophet?” here. The Jewish people are regathered to their land both before and after the Exile: Isa. 11:10-16; Jer. 3:11-20; 12: 14-17; 16: 10-18; 23:1-8; 24:5-7; 30:1-3, 10-11; 31:2-14-23; 32:36-44; Ezek.11:14-20;20:33-44; 28:25-26; 34:11-16; 23-31;36:16-36;37:1-28;39:21-29. The Jewish people are ruled by their Messiah with Jerusalem as its capital: Jer. 23: 5-6; 33:17; Ezek. 37:22, 24; Zech 9: 10; 14:9. Israel is recognized by the nations as being blessed: Isa. 62:2; 66:18; Ezek. 36: 23; 36; 37:28; Mal. 3:12. 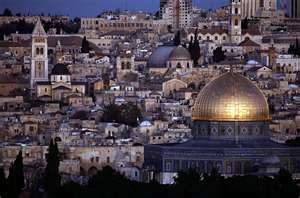 The nations go to Jerusalem to worship God: Isa. 2: 2-4; 56: 2-8; 62: 9-11; Jer 16: 19; Zeph. 3:9; Zech 9:16; Zech 14:16-18. The Temple is rebuilt with the presence of God in it: Isa. 2:2; 56:6; Ezek 37: 26-28; 40-48; 43:1-7; 48:35. Anti-missionaries like to say that in worshiping a deified Messiah/God man, Christians and Messianic Jews are committing idolatry. But the question is what kind of ordinary, anointed, Davidic King can usher in such a peaceable kingdom as mentioned here? It seems only a Messiah who is supernatural could do such a thing! “The state of the world must prove that the Messiah has come; not a tract. Don’t you think that when the Messiah arrives, it should not be necessary for his identity to be subject to debate – for the world should be so drastically changed for the better that it should be absolutely incontestable! Why should it be necessary to prove him at all? If the Messiah has come, why should anyone have any doubt?” (Rabbi Chaim Richman, available athttp://www.ldolphin.org/messiah.html). In these texts, it is clear Israel will dwell securely in the land. Another similar text that mentions the nations going to Jerusalem to worship a messianic figure is in Zechariah 14. I won’t copy the text. But you can read it here. Let’s look at one of these names for the Messiah: Daniel 7:13-14: The Glorious, Ruling King. The “Son of Man” (bar nash, or bar nasha) expression is employed to the earthly ministry of Jesus (Mk. 2:10,28; 10:45; Matt. 13:37). Son of Man is used to describe the suffering, death and resurrection of Jesus (Mk. 8:31;9:31;10:33). Son of Man has a future function as an eschatological judge (Matt. 25:31-36; Mark 14:60-65). For forty days the Messiah ben Joseph’s body will lie in the streets of Jerusalem, untouched—until the Messiah ben David arrives, sees to his resurrection, and ushers in Israel’s triumphant redemption. Now keep in mind the Messiah Ben Joseph is legendary. There are not really two different messianic figures in the Bible who are two separate figures. Instead, in contrast to this rabbinic model, the New Testament applies both the suffering and ruling predictions to one person, Jesus of Nazareth. Prophetic Telescoping is prophecy that bridges the First and Second Comings of the Messiah. In this way, prophecy telescopes forward to a time. The prophets saw future events as distant “peaks” (i.e., events) without an awareness of the large time gaps between them. Also, the prophets understood that history had two major periods—the present age and the age to come–although they did not always make a hard distinction between the two. Prophetic Telescoping stresses progressive revelation which means that God does not reveal everything at once. Remember, the Bible speaks of a suffering/atoning, rejected Messiah: (Psalm 22; 118: 22; Isaiah 52:13-53.12, Daniel 9:25-26, Zechariah 12:10) and well as a the ruling/kingly Messiah: (2 Sam 7:10–14; Pss. 2:7; 72:1 Pss. 89:4, 26, 35–37; 132:11–12, 17–18; Dan 7:13). There are texts that are fulfilled in the first appearance of Jesus. But there is another part that will be fulfilled in the future. In this sense, Jesus will return and establish the earthly, national aspect of the kingdom of God (Is. 9:6; Amos 9:11; Dan. 2:44; 7:13-14; 27; Is. 11:11-12; 24:23; Mic. 4:1-4; Zech.14:1-9; Matt. 26:63-64; Acts 1:6-11; 3:19-26). In other words, one day the Messiah will be King over His people (Matt. 19:28). In this clip, well known political commentator Ben Shapiro (who is Jewish) explains why he doesn’t think Jesus is the Jewish Messiah. Note that most of these objections are nothing new. We provide resources to these objections here. See our reading list here. See my short booklet here. We also have a clip here.